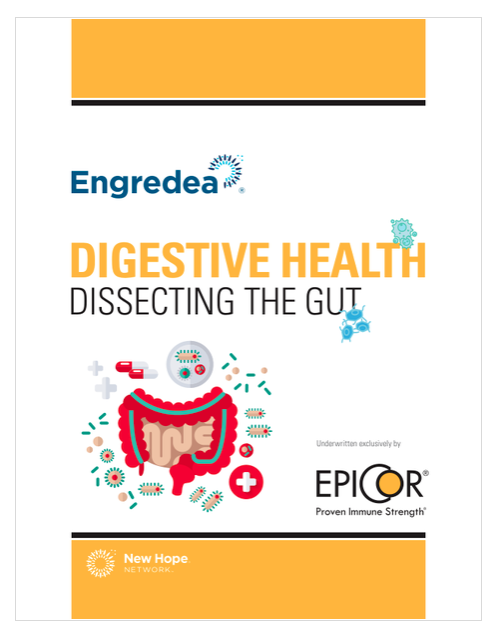 It’s become clear that without a healthy digestive system—a concept becoming increasingly synonymous with a well-balanced microbiome—human health can become compromised in numerous ways. Studies are finding links between the trillions of cells, the microbiota, that inhabit the gut and conditions related to chronic inflammation, obesity, metabolic conditions and many other diseases. It’s not surprising, then, to learn that gut health is the fastest growing condition-specific category tracked by the Nutrition Business Journal. While the future of digestive health seems lip-smacking good, some of the promises might be a little hard to swallow, as we take a Deep Dive in to Digestive Health.